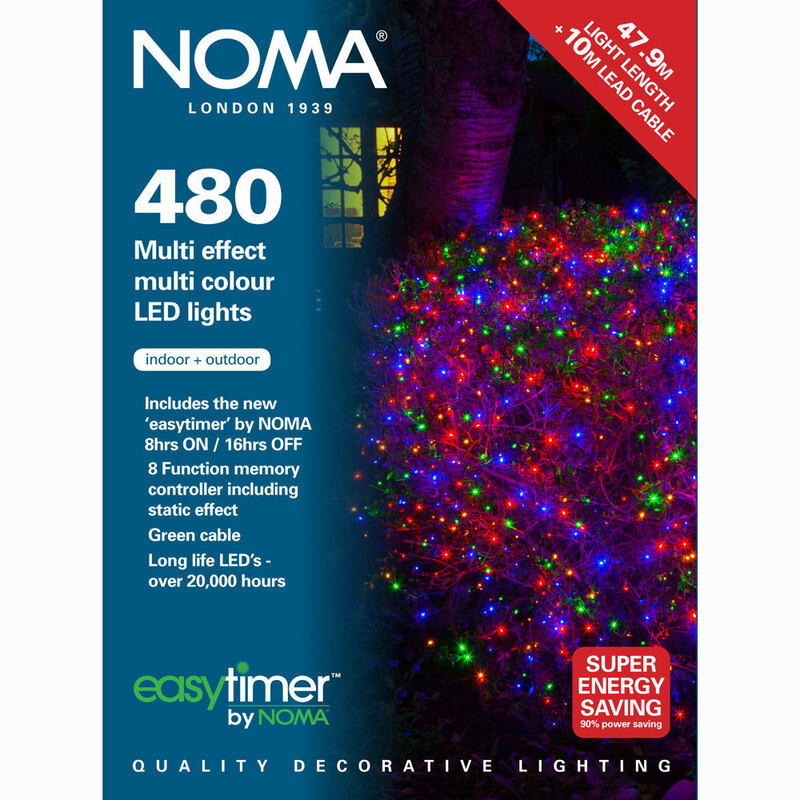 Noma® 480 Multi Colour LED Multi Effect Christmas Lights Set on 'Dark Green' cable adds a coloured glow to your artificial or real Christmas tree. 480 multi-colour shadeless LED decorative festive lights suitable for indoor & outdoor use. 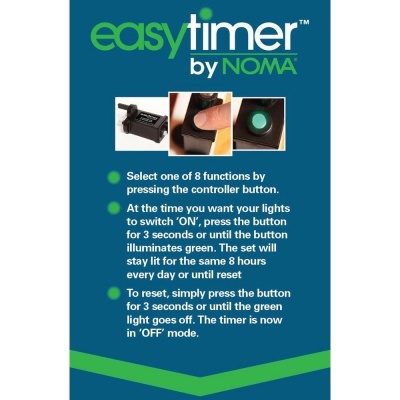 Noma® LED lighting not only saves energy but each bulb has an expected lifetime of an incredible 20,000 hours. Using a low voltage transformer these long life lights are suitable for outdoor use to light up trees, shrubs, porches or doorways. The 8 function controller allows you to personalise your lights even more with a choice of 8 effects with a memory function allowing consumers to switch onto their favourite setting everytime. 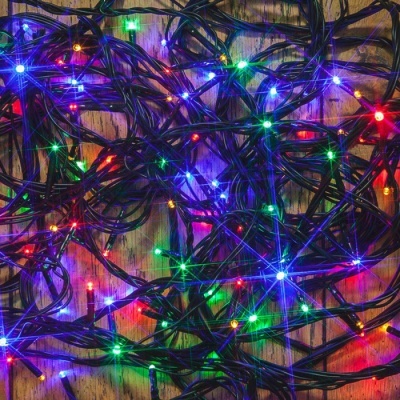 Each colour LED is 5mm in length and 480 LEDs make up this straight line construction set.